The Second Mouse by Archer Mayor, a Mysterious Review. 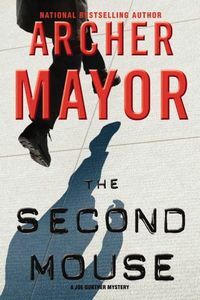 Review: The Second Mouse is Archer Mayor's latest mystery featuring Vermont Bureau of Investigation (VBI) field commander Joe Gunther. Although not strictly his case, Gunther is intrigued by the death of Michelle Fisher whose apparent suicide doesn't quite agree with some inconsistencies found at the scene of her death. The story alternates between two seemingly unrelated cases. Michelle, whose boyfriend had recently died, was living in the house that legally belonged to his father, a man that desperately wanted her out of his house. Was she so despondent that suicide seemed to be the only answer, or was her death the result of a more sinister act? The other case presents three fascinating, and completely different characters, together leading a life of crime that escalates from simple larceny to murder. Could one or more of them somehow have been involved in Michelle's life, and possibly be the cause of her death? There is considerable appeal for the reader in trying to determine how these cases are related and will ultimately be resolved. The solution to the mystery surrounding Michelle's death is fairly evident early on, but this in no way lessens the satisfaction of seeing how Gunther connects the cases. "Things have a funny way of working out" he says at the end of the book. If not always according to plan. Mayor has a spare, clean style of writing. Shortly after arriving at Michelle's house for the first time, Gunther mentally notes that dead bodies "... displayed all the variety that they had in life, but in none of the same ways." And that they were "... capable of a kind of frozen, extraordinarily subtle form of sign language." He then asks himself, "... how many of the dead might have struggled fruitlessly to be heard in life, only to be scrutinized too late by total strangers anxious to see or hear even the slightest twitch or murmur." This is wonderfully perceptive prose, and illustrative of how much of the book is written. Though The Second Mouse is the 17th mystery for Gunther, Mayor manages to keep the series as fresh as new fallen Vermont snow. It is highly recommended. Acknowledgment: Hachette Book Group provided a copy of The Second Mouse for this review.